UniFi® is the revolutionary Wi-Fi system that combines enterprise performance, unlimited scalability, and a central management controller. The UniFi IW HD AP has a refined industrial design and can be easily installed using the included mounting hardware. 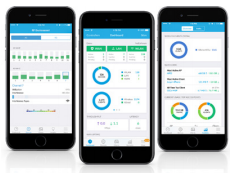 Save Money and Save Time: Unlike traditional enterprise Wi-Fi systems that use a hardware controller, UniFi comes bundled with a non-dedicated software controller that can be deployed on an on-site PC, Mac, or Linux machine; in a private cloud; or using a public cloud service. Powerful Hardware: The UniFi 802.11HD Dual-Radio APs feature the latest in Wi-Fi 802.11HD MIMO technology. Intuitive: UniFi Controller Software Configure and manage your APs with the easy-to-learn user interface. Expandable: Unlimited scalability: build wireless networks as big or small as needed. Start with one (or upgrade to a three‑pack) and expand to thousands while maintaining a single unified management system. The UniFi Controller can provision thousands of UniFi APs, map out networks, quickly manage system traffic, and add more UniFi APs. Use the RF environment functionality of the UniFi WiFi BaseStation XG to detect and troubleshoot nearby interference, analyze radio frequencies, choose optimal AP placement, and configure settings. 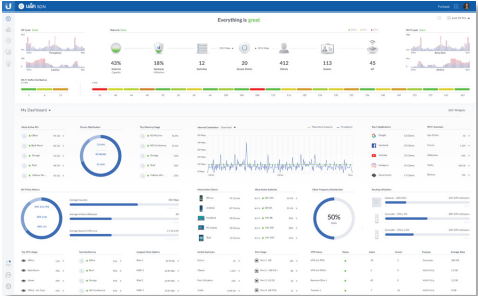 The UniFi Controller provides configurable reporting and analytics to manage large user populations and expedite troubleshooting. Manage flexible configurations of large deployments. Create multiple WLAN groups and assign them to an AP’s radio. Each WLAN can be VLAN tagged. Dynamic VLAN tagging per Wi-Fi station (or RADIUS VLAN) is also supported. A single UniFi Controller running in the cloud can manage multiple sites: multiple, distributed deployments and multi-tenancy for managed service providers. Each site is logically separated and has its own configuration, maps, statistics, guest portal, and administrator accounts. Built-in Hotspot Manager for voucher creation, guest management, and payment refunds. 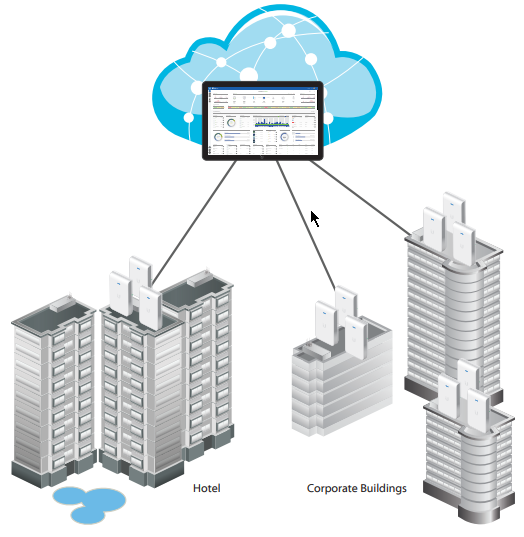 UniFi provides visual representation and status information about different aspects of your network. 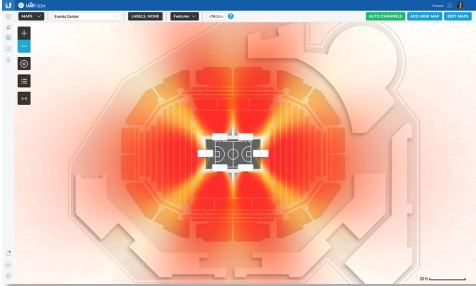 Monitor UniFi APs and analyze the surrounding RF environment. 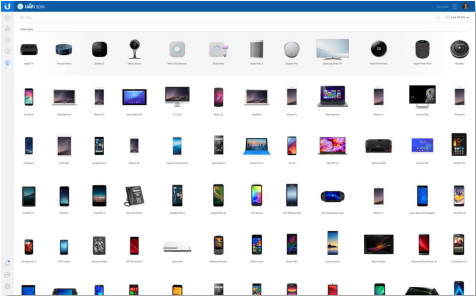 UniFi displays the client types for a specific time period. Manage your UniFi devices from your smartphone or tablet. Easy Mounting: Sleek design for seamless integration into any environment (all accessories included). LED: Unique provisioning and status LED provides administrator location tracking and alerts for each device. Designed for the Great Outdoors: The UniFi HD Pro features weatherproof casing designed specifically for outdoor applications. Advanced Acoustic Speaker: The UniFi HD EDU AP provides high-quality sound with accurate voice reproduction for announcements over Wi-Fi. Power over Ethernet (PoE): Includes PoE functionality. Each single-pack – except for the UniFi HD In-Wall AP, In‑Wall Pro AP, and Pro AP – includes a PoE adapter. UniFi Switch with PoE: You can power your UniFi devices with a UniFi PoE Switch (sold separately). Available in 8, 16, 24, and 48‑port versions with multiple power output options, the UniFi PoE Switch conveniently offers auto‑sensing IEEE 802.3af PoE/802.3at PoE+. PoE Standards: The UniFi HD EDU, In-Wall, In-Wall Pro, and Pro APs are compatible with an 802.3at PoE+ compliant switch. The UniFi HD Pro AP can also use 802.3af PoE. 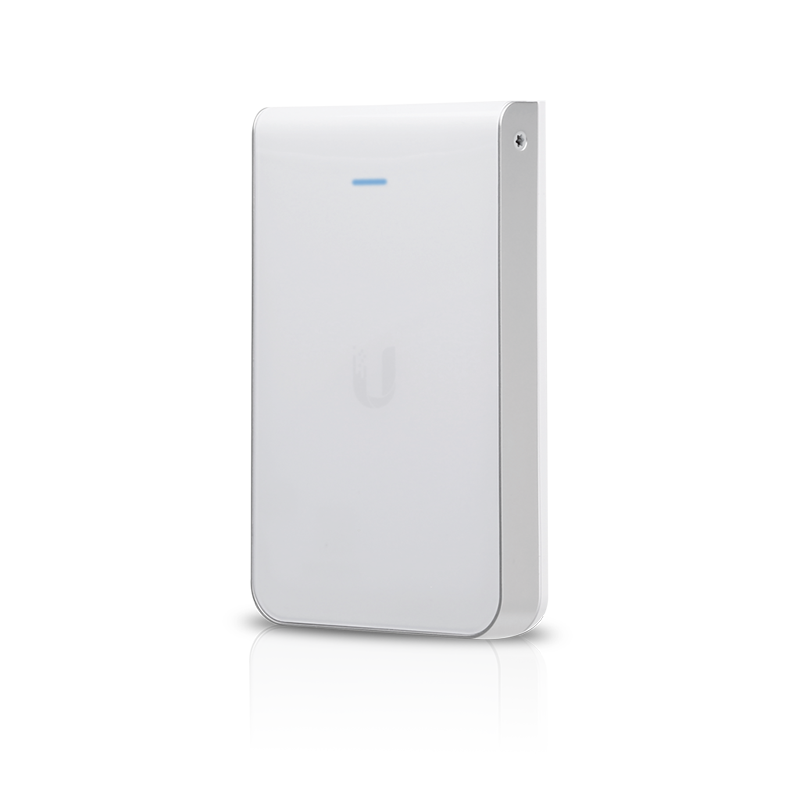 Download the Ubiquiti UniFi HD In-Wall Access Point Datasheet (PDF).